Having kids is a messy endeavor, even for those who are incredibly organized and neat freaks, often kids are naturally more untidy. It's in their nature to explore, to experiment, to become easily distracted, thus leaving a trail of upturned and half examined objects in their wake. 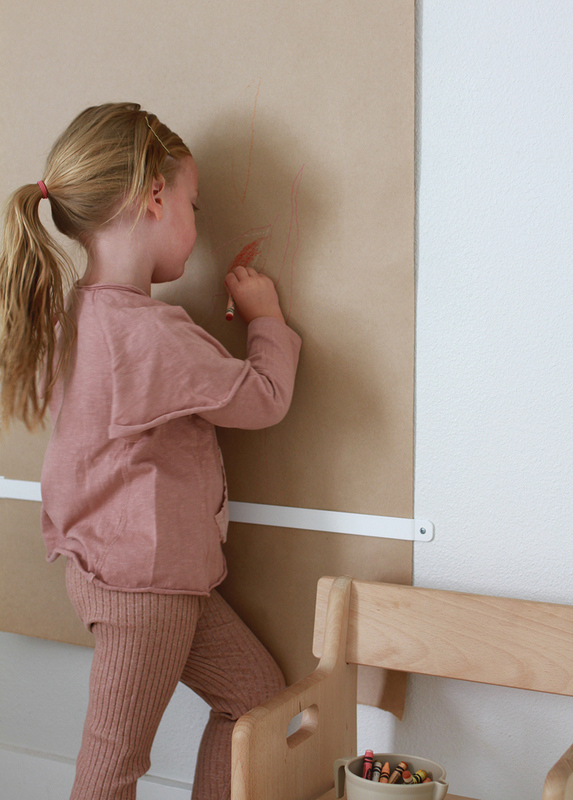 My kids love to draw and color but sheets of paper and strewn crayons aren't half as simple as this wall versatile mounted roller from George & Willy. Named the Studio Roller because it can be used in commercial or private spaces for list making, sketches and notes, the smallest size also lends itself well as a vertical drawing pad for children. 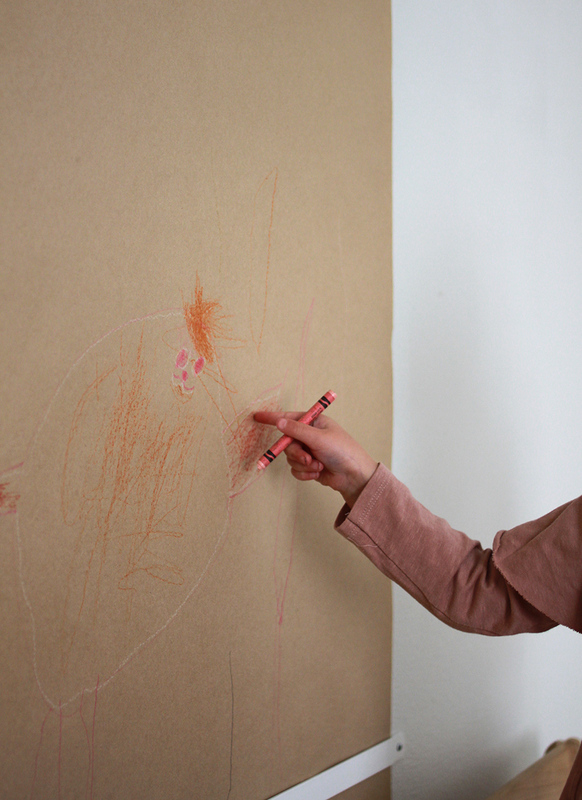 If you have really small kids this might not be a great idea yet as they could very easily write on the walls however mine are just old enough that they can contain their creations to the paper. I've found that it also promotes less paper waste as a single sheet of paper can be discarded more easily and with this broad roll they tend to go more for a large scene that is added to over time. They recommend a piece of plexi or thin plywood fixed to the wall behind the drawn paper if you have a textured surface, but I haven't gotten to that just yet. My hope is that this serves as an alternate idea for parents who want to streamline some of the mess from your kids' favorite activity without sucking any of the fun out of it. So cute! I love the idea of giving kids a place to express themselves! This is such an awesome idea.